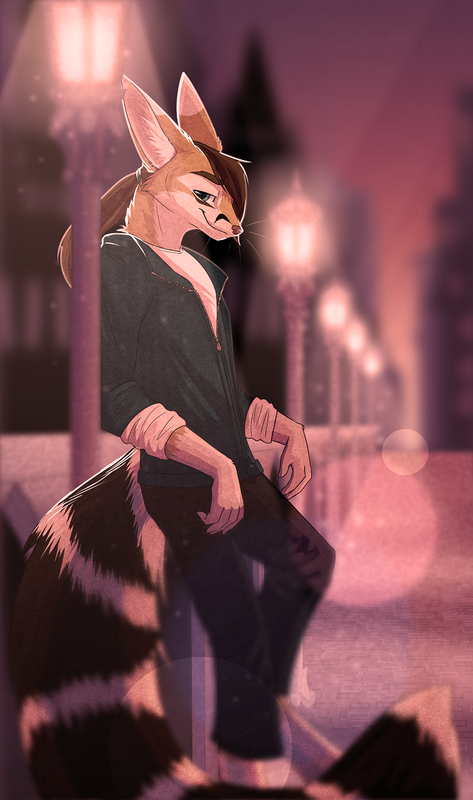 A wonderful rendition of Kendall in the night scene posing for the viewer . First time he has sported a pony tail too. Think may have him with that for future commissions down the road! This wonderful commission was done by another cacomistle lover (and owner!) novanocturne. Their upload is HERE if wish to comment and fave on it there as well.